Our middle school students will be presenting their research projects at the Water Conference on April 6. On April 6, students from Eagle Harlem and Eagle Queens will present water-related scientific research projects to a panel made up of graduate students from CUNY and the Columbia Water Center and Gregg Stanley, superintendent at The Bridge. The projects and presentations are part of our In-Schools Program, in which STEM and golf instructors from The Bridge Golf Foundation work on site with Eagle Academy students and faculty. 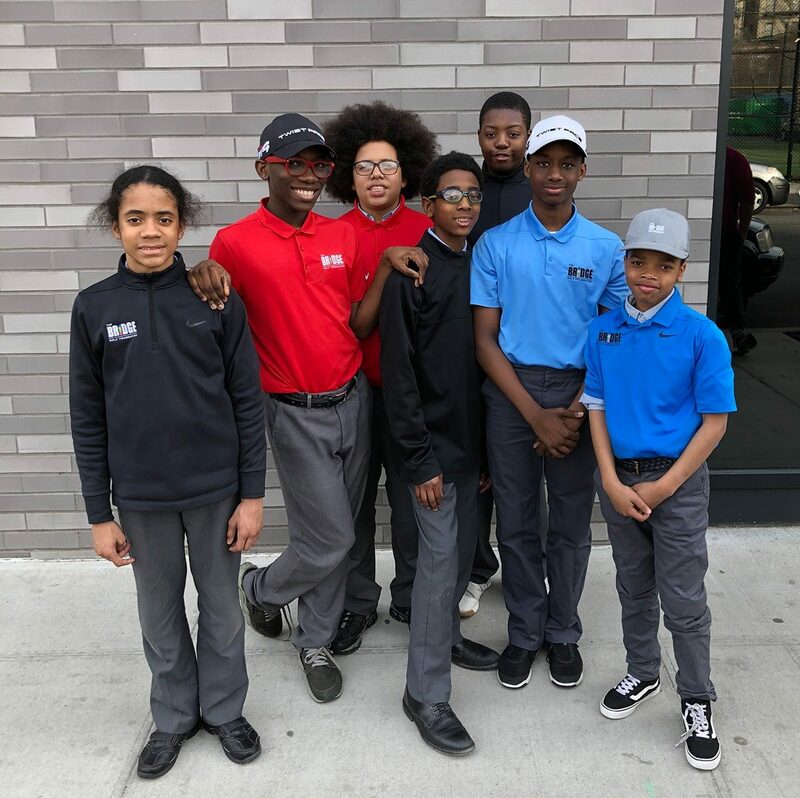 This program — funded by a grant from the Heisman Trophy Fund for Youth Development and led by Nancy Degnan, a senior advisor for education at the Columbia Water Center — is focused on achieving student-centered learning goals in STEM and literacy, fostering positive youth development outcomes, and learning life skills through golf. At The Bridge Golf Foundation, the study of water has been a major part of our STEM curriculum since we held our first Water Fair in 2017. For this year’s Water Conference at Eagle Harlem, eight groups of students will present their research to a panel of judges led by Veeshan Narinesingh, a Ph.D. student in physics at CUNY who studies the atmosphere and the physics behind certain weather patterns. The panel will include Stanley, who is constantly focused on water management issues in his work at The Bridge; three graduate students from CUNY; and one student from the Columbia Water Center, which is dedicated to studying and solving local and global water crises. Four groups of students from the Eagle Academy for Young Men of Queens have been working with the school’s science teachers and Degnan on a project titled “Superstorms, Flooding and Community Resilience: The Case of Hurricane Sandy and Far Rockaway.” The groups are studying the background of the storm from a math and science perspective, the social and economic impacts of the storm, resilience at the community level, and resilience in terms of preparedness and infrastructure. Degnan has also been working with the science faculty and two more groups of students from the Eagle Academy for Young Men of Harlem. One group is studying the chemistry of clean water and the infrastructure required to provide access to it, and the other is focused on the engineering and infrastructure of the New York City Watershed. At the Water Conference on April 6, each group will make a PowerPoint presentation to the judges, who will select the top three projects based on the rigor of the research and the quality of the presentation.